Abraham Lincoln was born on February 12, 1809, to Thomas and Nancy Hanks Lincoln in Hardin, Kentucky. The family later moved to Indiana where his mother died. Thomas remarried in 1818. Abraham grew quite close to his step-mother, Sarah Bush Johnston, though his relationship with his father remained strained his entire life. Lincoln married Mary Todd in November 1842. Together the couple had four children. Abraham Lincoln, who worked as a lawyer, began his career in politics by serving in the Illinois state legislature. He became a U.S. congressman in 1845. He made an unsuccessful bid for the U.S. Senate in 1858. Though he was defeated, he gained national recognition through his political debates with his opponent, incumbent Stephen Douglas. In 1861, Lincoln became the 16th President of the United States just before the divided nation plunged into Civil War. He served as president until April 15, 1865, when he was assassinated by John Wilkes Booth at the Fort Theater. Print the Abraham Lincoln Vocabulary Sheet. Use this vocabulary sheet to introduce your students to President Abraham Lincoln. Children should use the Internet or a reference book to look up each person, place, or phrase associated with President Lincoln. They will then fill in the blanks with the correct word from the word bank. Print the Abraham Lincoln Word Search. Students can use this fun word puzzle to review what they've learned about the Lincoln-related terms. Each name or phrase from the word bank related to his life and presidency can be found in the word search. Print the Abraham Lincoln Crossword Puzzle. Students will learn more about Abraham Lincoln by matching the correct word with each clue in this crossword activity. Use the puzzle as a conversation starter by discussing the meaning of unfamiliar terms with your children. Print the Abraham Lincoln Challenge. 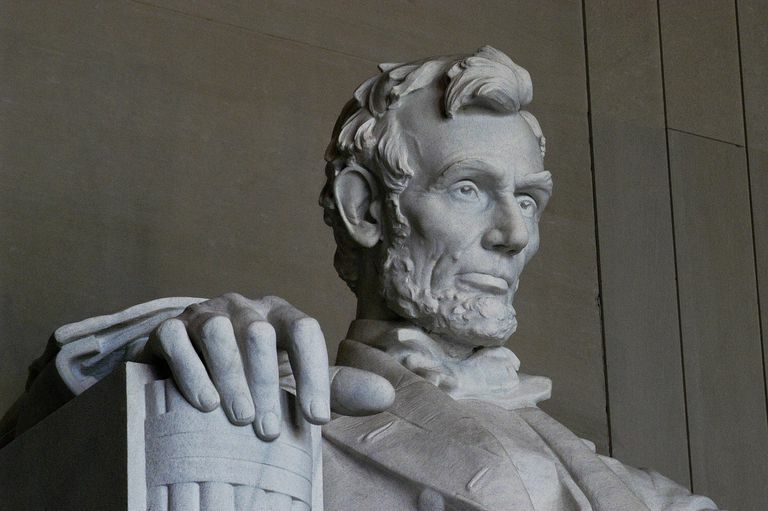 Test your students' knowledge of Abraham Lincoln's life with this multiple-choice challenge. Use the library or internet to research any statements about which your child is unsure. Print the Abraham Lincoln Alphabet Activity. Young students can practice alphabetizing by putting these terms associated with Abraham Lincoln's life in correct alphabetical order. Print the Abraham Lincoln Theme Paper. 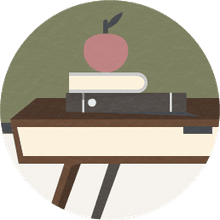 This draw and write activity provides an opportunity for students to practice their handwriting, composition, and drawing skills. They will draw a picture related to our 16th president, then use the blank lines to write about their drawing. Use this Abraham Lincoln themed paper for your children to write a story, poem or essay relating to something they've learned about Honest Abe. Print the Abraham Lincoln Coloring Page No. 1. Young students can practice their fine motor skills with this Abraham Lincoln coloring page or use it as a quiet activity during read-aloud time about President Lincoln. Children of all ages may enjoy coloring the picture to add to a report about the president. Print the Abraham Lincoln Coloring Page No. 2. This coloring page features President Lincoln in his trademark stovepipe hat. Ask your children what other features (such as his beard or his height) or historical facts they remember being associated with Abraham Lincoln. Print the President's Day Tic-Tac-Toe Page. President's Day was originally established as Washington's Birthday in celebration of George Washington's birth on February 22. It was later moved to the third Monday of February as part of the Uniform Monday Holiday Act, leading many people to believe that the date was designed to honor both Washington's and Lincoln's birthdays. Print this page and cut it into two pieces at the dotted line. Then, cut the tic-tac-toe markers apart. Have fun playing President's Day Tic-Tac-Toe and spend some time discussing the contributions of both presidents. Print the Abraham Lincoln Coloring Page. On November 19, 1863, President Abraham Lincoln delivered a three-minute address during the American Civil War at the dedication of a national cemetery on the site of the Battle of Gettysburg. The Gettysburg Address is one of the most famous American speeches of all time. Look up the Gettysburg Address and discuss its meaning. Then, try to memorize part or all of the speech. Print the Mary Todd Lincoln Coloring Page. Mary Todd Lincoln, the President's wife, was born on December 13, 1818, in Lexington, Kentucky. Mary Todd Lincoln had a somewhat controversial public image. During the Civil War, four of her brothers joined the Confederate army and Mary was accused of being a Confederate spy. She became severely depressed after the death of her 12-year-old son, Willie, and the death of her siblings in the war. She went on shopping sprees and once bought 400 pairs of gloves in a four-month period. The assassination of her husband shattered her and she was admitted to a mental hospital. She was eventually released and died at the age of 63 at her sister’s home in Springfield, Illinois. Print the Lincoln Boyhood National Memorial Coloring Page. The Lincoln Boyhood National Memorial was established as a National Park on February 19, 1962. Abraham Lincoln lived on this farm from the age of 7 until 21.